Have you experienced the trouble of using your metal detector on different terrains? Then, maybe it is about time that you get a new detector like Garrett ATX that will allow you to search in different conditions without changing the coils for each new session. To find out more about this particular instrument, read our Garrett ATX review below. 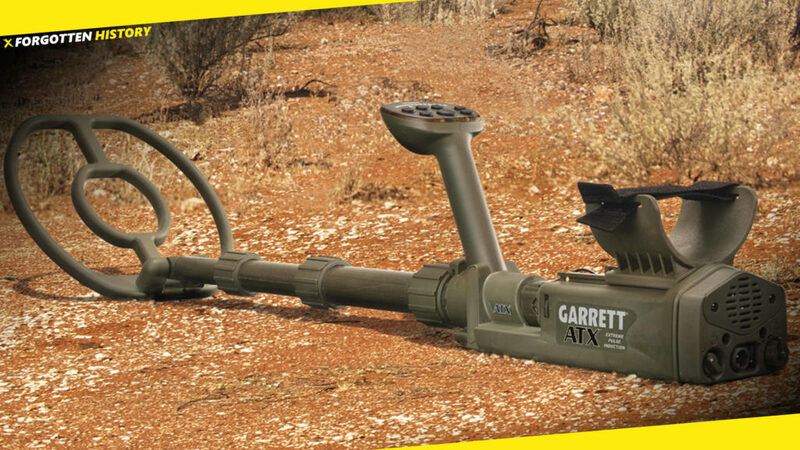 Garrett ATX metal detector is among the unique section of devices on the metal detecting market, because it incorporates Pulse Induction technology. Due to this technology, Garrett ATX Pro enables the user to literally scan the location, combing each feet of land, without changing search modes or coils. Spotting Garrett ATX for sale is a good idea if you are ready to invest into a super versatile machine with flexible tuning. Garrett ATX has an outstanding design, and it is somewhat different from many other items on the market due to its military style look. The surface of the machine is nice and matte, the coat makes it very simple to clean the tool in case it falls into the mud or something. The appearance is stylish, but low key, preventing you from getting too much unwanted attention in public places. The device is comparatively heavy, but another prominent feature of its design is balance – the shaft was developed in a way to help the user cope with additional weight during the search. So generally this cool machine is very well-thought out and created with some rough conditions in mind. Garrett ATX is the right option or addition for the collection of metal detectors for professional treasure hunters or even for those who are just starting in this hobby. The product is perfect for those who are fond of checking metals on different terrains, may it be on dry, wet, or sandy terrains. It is also equipped with other latest upgrades and features that are sure to meet the preferences of those who want a convenient metal detector. It is very portable and easy to handle. Garrett ATX is equipped with a 12-inch DD coil and comes with a military grade hard case. This means that the metal detector is created for those who search in the extreme locations. 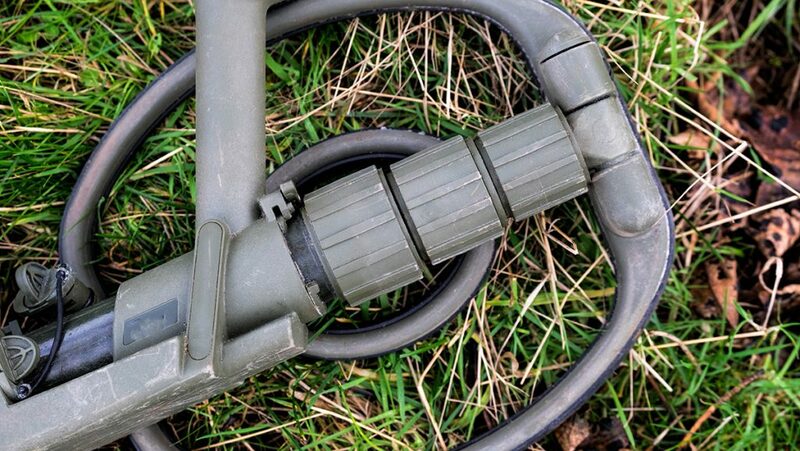 The coil can be submerged, which makes it easier for user to search even on locations with bodies of water. It has an enhanced sensitivity that allows you to locate even the tiny gold nuggets. Truly, this detector is another great piece to add in anyone’s collection. The shaft is fully collapsible. You can use the detector with the shaft either fully folded or fully extended. Comes with non-motion and motion modes. All these features added to 13 sensitivity settings and 25 discrimination modes make this item totally worth the money it costs. Experts state that with such range of flexibility and tuning, this Garrett is good for almost any kind of task, from digging up coins and relics, to searching for lost jewelry and smartphones on the beach, to spotting gold nuggets. Search modes for Garrett ATX should be discussed separately. Since this is a pulse induction tool, there are no frequency changes. Also, it has 25 discrimination settings, so strictly speaking, there are no search modes here. There are detection modes – motion and non-motion. The motion mode means that the tool will send you clear signals when the coil is on motion, that is, you have to walk around or swing the coil around the place. This is how detecting is usually done. However, considering that the piece is pretty heavy, and also considering that conditions of the search can be complicated, Non-motion mode can come very handy at times. In non-motion regime, the coil should be more or less still to get a clear signal. Listing down all the features, anyone can easily claim that Garrett ATX can offer a lot of advantages than those previous metal detector models that you have been using for years. Its overall function is suitable for all kinds of terrains. It can be used on a highly mineralized soil and in saltwater alike, without need to switch the modes. Since it is fully collapsible, you will not have to worry about portability. Also, you can make use of it either in a fully collapsed length, or in a fully extended shaft for the convenience of just moving to and from one point to another. What will make it more interesting is its unique iron check feature that can be adjusted quickly without any discrimination on what should be checked. Additional coils enable the detectorist to comb the location with different settings and different focus, so with the Pulse Induction plus coils, there is no other machine you will need in the nearest future. The combination of pulse frequencies and changeable coils gives flexibility and the range of options that stand next to none. The only better option is a more expensive Pulse Induction machine with a bigger number of more expensive compatible coils. A particular disadvantage noted by users is that Garrett ATX is a bit heavy compared to other products available on the market, and it can be hard to search with it all day long. However, with all of its design and unique features, this metal detector is still cool enough to give it a try. Another important drawback is lack of LCD display. While the control panel of the tool is very handy, comprehensive, and easy to use, a full-fledged display is considered something like a norm these days. The manufacturer claims that the control panel provides information that most detectorists actually use, meaning that instead of a bunch of complicated indications you are shown only what really matters. However, we still believe that the user should be given an ability to choose what to be shown, and LCD displays usually allow to customize the screens. In addition, LCD screens often have tap lights improving search in the darkness or in twilight. Without proper display, this is impossible to achieve. You also can’t dive with it deeper than 3 meters, and stay underwater longer than half an hour average. However, more than that requires additional costly and complicated technologies; this very model is already stuffed with cool things, so we can’t demand it to be equally good in just everything. For deep diving there are other products superior in this particular niche. Garrett ATX is already equipped with an impressive range of tuning, it seems the only things it can’t do is dive and fly. The difference between standard packages is default coil packed. The difference between packages is also in the type of default coil packed. Basically, the only item you really need to buy separately is the waterproof headset, because only the non-isolated set is included into all kits. But considering the available sets, this does not seem a big deal. Garrett ATX has been in production since year 2013, and it is still manufactured and sold. During all these years, thousands of happy customers provide positive feedback and comments about this item. Many experts also comment on its superior features, flexibility of usage, and range of tuning. Garrett is a company that is well-known and respected all around the globe, so little surprise their products are also high grade and reliable. However, Garrett ATX is marked as truly outstanding and giving the user almost unlimited options of tuning for search on any kind of location. The next positive thing all users notice is smooth and seamless performance of the item through the years. Since the machine is high quality and comparatively costly, the buyers plan to use it for at least a year or two. However, the item truly exceeds their expectations, because, unless severely damaged, it shows stably well performance year after year. Moreover, as the detectorists use Garrett ATX, they learn more about combinations of different settings, and as their skills grow, the item provides them with more and more possibilities. Garrett ATX is being used by detectorists and treasure hunters in different types of search – coins, relics, jewelry, silver and gold – and in all these activities it shows incredible accuracy and efficiency. One of the recommended activities where it shows high results is old buildings hunting – its enhanced sensitivity allows to spot hidden treasures even in the walls of the old houses. These are the reasons why this product by Garrett enjoys so much love and devotion from those who are into metal detecting hobby. Summing up the features and some issues that were found in Garrett ATX, anyone can easily say that the product is a great buy. It comes with superb features like being an All Terrain metal detector that requires no adjustment on the detection of metals, either on water on dry land. The price offer is also reasonable, which makes it an advantageous product to purchase by professionals and beginners in treasure hunting. Garrett ATX is a professional level all-terrain all-metal universal tool; except for the deep diving, it can search everywhere, in any conditions, and spor all kings of targets. It has been in production since 2013 and is still in demand. This proves the device’s superior position on the market.